BIRMINGHAM, Alabama, August 19, 2011 (ENS) – Alabama state officials have approved a coal mine to be located 800 feet from a primary drinking water intake for Birmingham, the largest city in the state. The Alabama Environmental Management Commission Friday voted unanimously to approve a permit issued for the Shepherd Bend coal mine, a 1,773-acre strip mine. The Commission was ruling on a challenge to the permit brought by the Southern Environmental Law Center, representing the nonprofit Black Warrior Riverkeeper. The environmental group claims that in granting the permit, the Alabama Department of Environmental Management, ADEM, was not protective of water quality in the Mulberry Fork of the Black Warrior River. 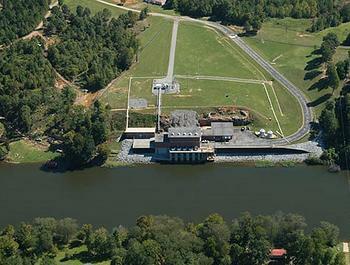 The Shepherd Bend Mine would discharge wastewater into the Black Warrior’s Mulberry Fork directly across from the Birmingham Water Works Board’s Mulberry Fork drinking water intake, which serves 200,000 customers of the Birmingham Water Works Board. In upholding the permit, the Environmental Management Commission “disregarded evidence from the Riverkeeper and from the Birmingham Water Works Board and ignored instructions from the judge who was assigned to hear this case,” said the Southern Environmental Law Center in a statement Friday. “We are disappointed that the commission charged with protecting Alabama’s water resources has chosen to rubber-stamp a faulty permit in violation of the Clean Water Act,” said SELC senior attorney Gil Rogers. “Once again, ADEM is putting the interests of big coal mines ahead of the water needs of the citizens of Birmingham and clean water in the Mulberry Fork,” said the staff Riverkeeper for Black Warrior Riverkeeper, Nelson Brooke. The Birmingham Water Works Board has offered detailed information as to how the wastewater discharges from the mine will introduce toxic pollutants and sediment into the water, potentially leading to decreased water quality, possible health risks, and increased treatment costs, which are typically passed on to customers. In the April 18, Homewood City Council Meeting, BWWB representative Darryl Jones estimated that if the mine were built, the water treatment cost per household could increase $10 monthly. Of the 286 acres permitted for mining by the Commission, Shepherd Bend, LLC has the leases necessary to start mining an initial increment of 34 acres. If Shepherd Bend chooses to mine beyond that first small increment, the company will have to obtain leases from other property owners, including the University of Alabama, an owner of both land and mineral rights at Shepherd Bend. As a practical matter, without the consent and full participation of the university, it may not be cost effective to mine Shepherd Bend at all. The University of Alabama Environmental Council, an environmentalist student group, has been organizing opposition to the mining company. In February, University of Alabama students threatened to boycott UA Services if UA System leases or sells their Shepherd Bend land for mining. Dr. Robert Witt, president of the University of Alabama, expressed concerns about the Shepherd Bend Mine during a speech to the Rotaract Club of Birmingham on July 7. While not stating that UA would never lease land or minerals for the Shepherd Bend Mine, Dr. Witt recognized the feedback he has received from students, scientists, cities, organizations, and other citizens opposing the mine proposal. He expressed interest in helping protect the river and Birmingham’s drinking water. Black Warrior Riverkeeper is not ready to let the matter rest. The Southern Environmental Law Center will be considering potential avenues for appeal of the ruling on behalf of its client, Rogers said.